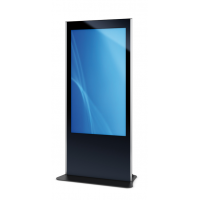 A 40 inch touch screen overlay allows you to convert an LCD monitor into an interactive display. Overlays are ideal for upgrading your existing LCD screens. 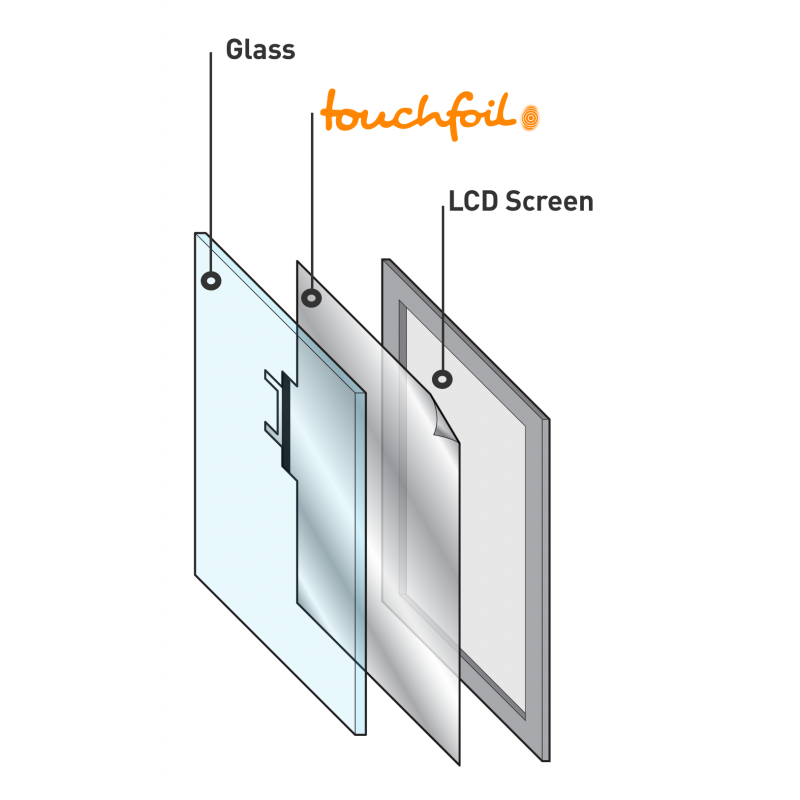 Projected capacitive (PCAP) overlays are reliable, weatherproof and precise. 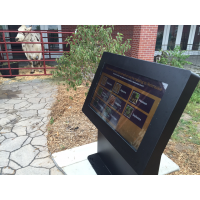 You get the best touch screen experience in all conditions. 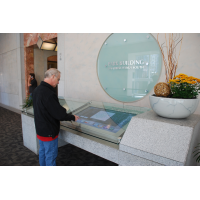 A VisualPlanet PCAP touch foil transforms a glass surface into a touch screen. 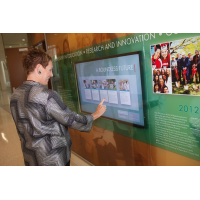 Simply laminate the PCAP overlay onto the back of a glass panel and mount the glass on an LCD screen to create an engaging, interactive experience. 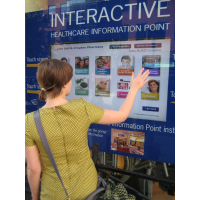 You benefit from the advantages of a touch screen without the cost of investing in new displays. 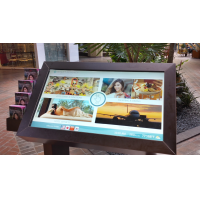 The 40 inch touch screen overlay is available in dual or multi-touch options, allowing multiple people to use the screen at the same time. 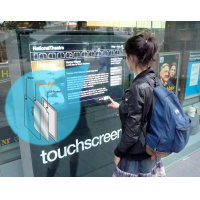 You can apply the overlay to curved glass for the most engaging touch screen experiences. 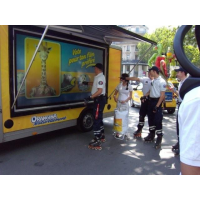 VisualPlanet’s PCAP overlays are robust, waterproof and long-lasting. 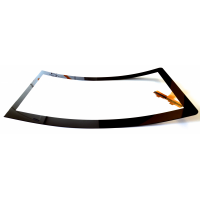 The overlay can be laminated onto thick glass to protect the LCD screen from damage. 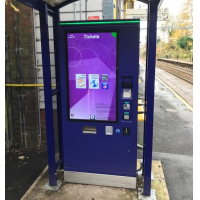 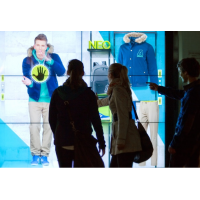 The display functions reliably in all conditions and delivers maximum return on investment. 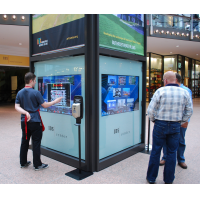 You can purchase your PCAP overlay individually or already applied to glass. 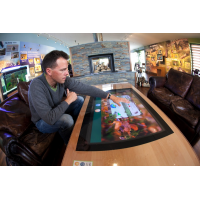 VisualPlanet works with leading glass manufacturers to provide their TouchglassTM product. Customised glass printing is available on flat or curved glass. 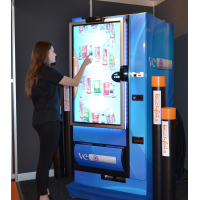 VisualPlanet is the creator of the market-leading TouchfoilTM product. 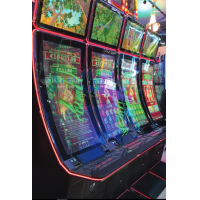 The company has over 15 years of experience and offers a two-year warranty and excellent customer support. 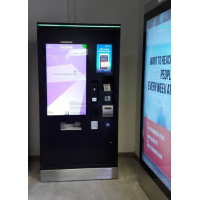 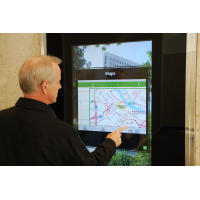 To discuss the best touch screen solution for you, contact VisualPlanet today. 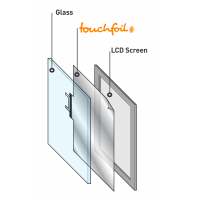 Thick glass protects the LCD screen from damage. 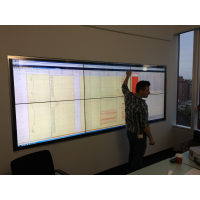 The screen has a long life, delivering the maximum return on investment. 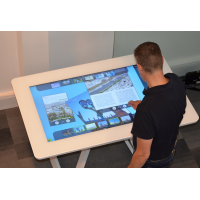 Multi-touch responds to 32 touches at the same time. 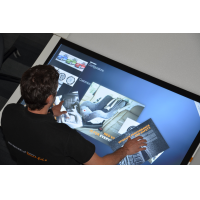 You can deliver the most engaging touch screen experience. 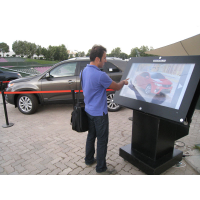 VisualPlanet’s 40 inch touch screen overlay works in hot, cold and wet weather. 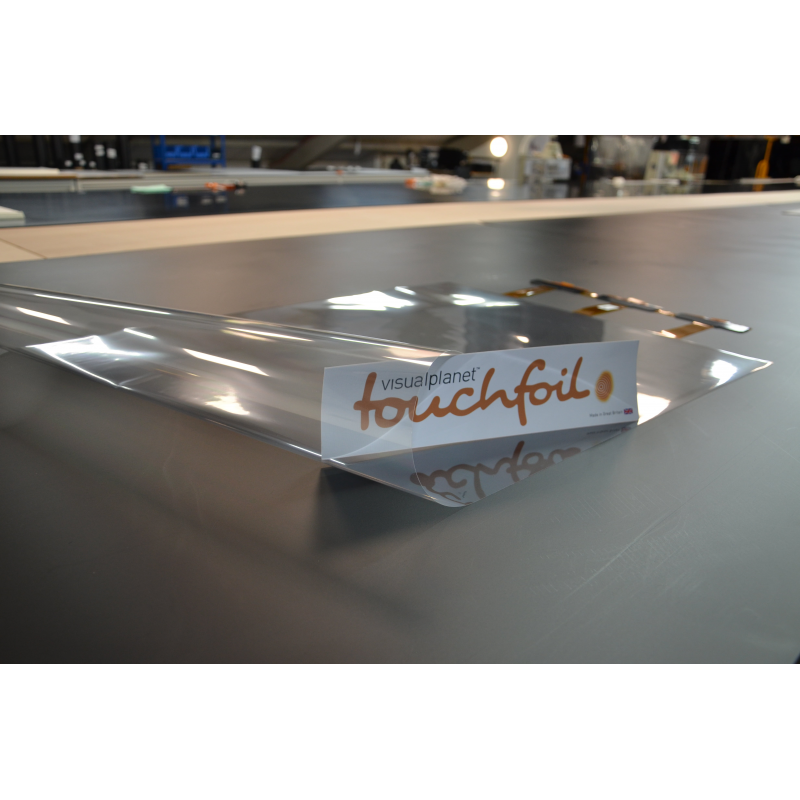 PCAP foils are suitable for use with enclosures rated up to IP68. 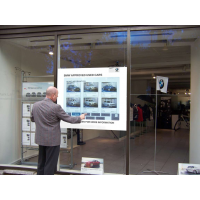 You benefit from a reliable touch screen in all conditions. 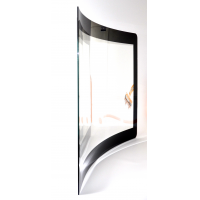 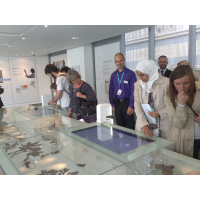 Curved glass creates the most distinctive interactive displays. 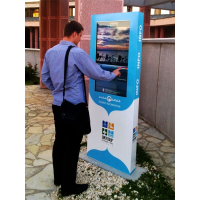 You benefit from maximum utilisation of the touch screen in cold weather. 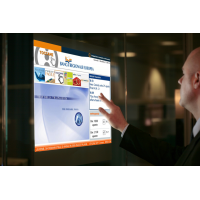 Also ideal for industrial and sterile environments. 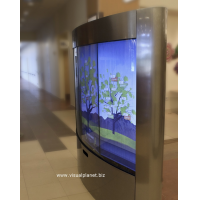 For more information about the 40 inch touch screen overlay, use the form below to contact VisualPlanet.